HousingPANIC - The Housing Bubble Blog with an Attitude Problem, 2005 - 2008: NBC Nightly News: Has the housing bubble sprung a leak? 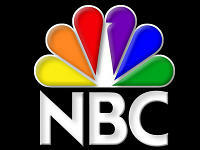 NBC Nightly News: Has the housing bubble sprung a leak? Here's the equation: More listings + Less Buyers = Declining Prices = Worry = More Media Coverage = Panic = Many More Listings = Rapidly Declining Prices = Common Sense. Are we nearing the end of those sky-rocketing real estate prices? The typical home in America has appreciated 55 percent since 2000. But many areas of the country saw even more dramatic appreciation than that. Now, there’s strong evidence that the record pace is starting to slow. Has the housing bubble has sprung a leak? Nancy and Phil Marrone spent today cautiously going over new home listings, and doing a few walk-throughs in Northern New Jersey. They’re worried they’re buying just as the market turns south. If people didn't look at houses as a damn investment, then it wouldn't be a problem. Cars depreciate just like houses do. Why should a car or a house be worth more 5 years from now? If I buy a McDonalds hamburger and eat half of it, can I expect to sell it for more tommorrow? Next week? Next year? There's only a few things that are valued more with age. Fine wine, classic/rare cars, artwork, collectables, and antiques. House values should be tied to demographic income. Right now it is tied to hopes and dreams of a future nest egg. We are well setup for a bear market starting in 2006. This is exactly why my wife and I are renting. There is no way I can get an house with the same ammenities as my apartment. I would have to spend 66% more a month (fixed 30-yr). CNN Money said the Minneapolis/St. Paul are is overvalued by 24%....I really believe it is more. I know prices will go down soon...they already have in this area for 25 percentile range homes (4% drop since Aug 05). Save...save...save! I agree. It’s an unbelievable time to rent. I’m renting a luxury downtown Minneapolis apartment for less the $1000/mo. I have a two-year lease, exercise room, indoor heated pool, concierge service, indoor heated parking and a spectacular 30 floor view. To get anything approaching that I would have to spend nearly 3x as I am now. Instead, I have $20,000+ year, cash, that I can invest in foreign currencies, gold, treasuries, the stock market, etc. And what’s really nuts is that there are actually better deals to be had. I’m renting straight out in an apartment complex right now, but you can sublet condos from flippers with an ‘option to buy’ with the same amenities for less then even what I’m paying. One year ago there were handmade signs posted by freeway entrance ramps offering to buy any house for cash. Now there are signs in the same spots offering to sell condos CHEAP. I heard merril lynch's chief economist at the end of a cnbc interview where he was discussing the coming meltdown in homes, end his interview with Maria B. by shouting out "Keep renting!" Best advice I ever heard. Ah, the peace of mind not owning a house today. Where's the smart money today? On the sidelines. Love the way realtors, downplay price reductions.. ie. "New Price". Go and find my advance america cash advance center blog.